Long runs are key to getting stronger and faster. Here's how to make them count! 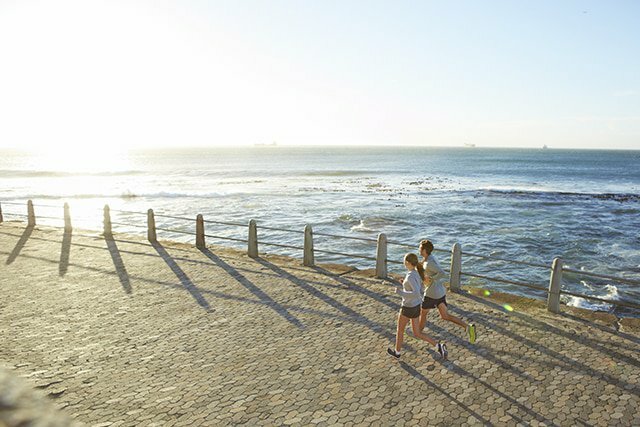 You’ll save energy for those bonus kilometres by slowing your pace. You should feel comfortable and able to carry on a conversation. A good rule of thumb: Add 90 seconds to two minutes per one-and-a-half kilometres to your normal pace. Don’t forget to build up your other muscles too, try cross-training to change up the pace a bit. On runs longer than an hour, bring along fuel that’s rich in carbohydrates and electrolytes. To keep your energy level consistent, start fuelling about 30 minutes into your run and refuel again every 15 to 20 minutes. Ease into it to train your stomach, and experiment with different products. Not sure what to fuel the tank with? Try these 16 healthy (and yummy) pre-run meals and snacks. Mentally, that is. Segment your run into manageable parts so that you’re not intimidated by the full distance. For instance, a 24-kilometre run could be thought of as three eight-kilometres. Struggling with hitting the wall? Try these mental tricks to push through the pain, and keep moving! Consider running a one- to two-kilometre loop so you can stay close to fuel, bathrooms or the finish line. You’ll avoid getting stuck far away from home on an out-and-back run or long loop if you need to quit unexpectedly. If you’re on the treadmill, set the incline to 1% or 2% to better simulate overcoming the wind resistance of running outdoors.